Donald Trump Wishes Muslims a 'Joyful Ramadan' - The Maghreb Times ! 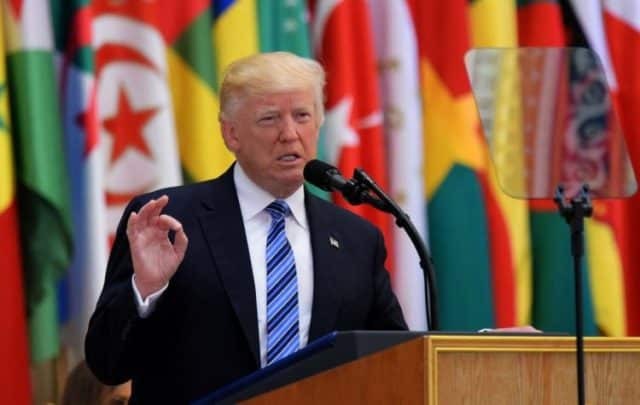 Avoiding his usual rhetoric, US President, Donald Trump delivered a softer, more hopeful message to Muslims around the world on Friday as they prepare to begin their observance of the holy month. Many noted that he was able to curb his tendency toward the overused “radical Islamic terror” rhetoric. “During this month of Ramadan, let us be resolved to spare no measure so that we may ensure that future generations will be free of this scourge and able to worship and commune in peace,” was his message instead. All in all, it was a curious but welcome departure for Trump especially. Many Muslim ears are still ringing with now infamous claims that “Islam hates us” and that it’s “hard to separate” Islam from the terrorists who claim to derive their actions from Islam. Have laid claim to it for their own twisted objectives.